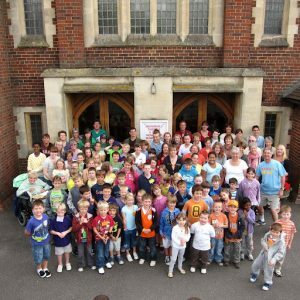 Christ Church with St. Philip invites children and young people aged 0-14 to join us at Young Church on a Sunday morning between 10am – 11/11.15am. Children meet in the church initially to share in the first part of the service, then go on to their own activities for the remainder of the time. Young Church uses stories, drama, craft work and games to help children and young people to learn more about the Christian faith. All children and young people are welcome to join us,whether you come to Church or not. We meet in our separate groups to begin with and then go into Church for communion and to share our morning activities with the rest of the congregation. We meet each Sunday from September to July except on the first Sunday of the month when we share in the All Age Worship / Parade Service with everyone else. This is our crèche for babies and younger children aged 0-3. As well as having lots of toys to play with, children get the chance to hear Bible stories and take part in craft activities designed to be specifically appropriate for their age. 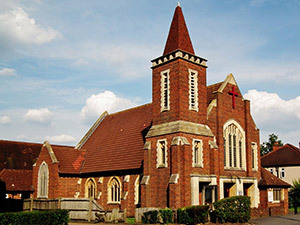 This is our Church for pre-school and primary school age children. Aiming to be the most fun in every child’s week. Our leaders in this group teach the children about Jesus through games, Bible stories, songs and crafts. This lively group enjoys great games, drama, worship, craft, and Bible stories, and, through these activities, grow in their relationship with Jesus. Come and join us for a fun time of worship and fun-based creative activities to start your week off. All our leaders and helpers have been CRB checked. We also have a crèche for babies, toddlers and young children aged 0-3. This meets in Room 2 on the same weeks as the rest of Young Church. 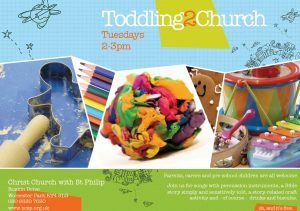 Toddling2Church meets on Tuesdays from 2-3pm. Parents, carers and pre-school children are all welcome to join us for songs with percussion instruments, a Bible story simply and sensitively told, a story-related craft activity and, of course, drinks and biscuits. 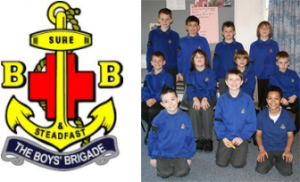 The Boys’ Brigade is a Christian youth organization for boys and young men, founded in 1883. It now operates in over 60 countries world-wide, reaching out to young people as effectively as ever, through exciting activities and a challenging program. 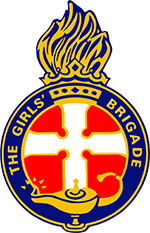 The Girls’ Brigade is an international uniformed organisation. It aims to help girls learn about the Christian faith whilst having lots of fun at the same time. Since our foundation in 1893, Girls Brigade has become well known as a fun, interesting, challenging and relevant provider of activities, skills, care and Christian love for hundreds of thousands of young people. The Girls’ Brigade is active in over 60 countries worldwide. Captain: Angela Perrins | to find out more, contact Angela on 01344 621170. 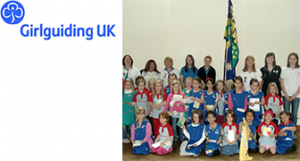 If you wish to join one of these groups, please register at www.girlguiding.org.uk/interested or phone 0800 1 69 59 01. All registrations are now dealt with centrally so please register via one of these two methods rather than via the “contact us” page on this website. We also have a Senior Section, so if you are aged between 14-25 there are many opportunities within Girlguiding UK. Adult Leaders are aged between 18-65. There are a variety of opportunities within Guiding that adults can get involved in. You can use existing skills or develop new ones; from running your own Unit to being a badge tester, Treasurer, Secretary or member of a group that provides support at a local level. Guiding only requires that you are willing to support the objectives and have enthusiasm. Men are also welcome a supporters of Guiding, and an increasing number are involved in roles such as Unit Helpers, Advisers and Treasurers. Please contact us if you are willing to help! Rainbows are aged 5-7 years. The program for the Rainbow age range provides fun and challenging opportunities for five- to seven-year-old girls. Through a balanced programme, supported by adults, Rainbows are encouraged to make their own decisions. They are encouraged to learn and develop skills that will help build their self-esteem. Brownies are aged 7-10 years. Through the Brownie Adventure, which is full of fun and challenges facilitated by a caring adult, Brownies are encouraged to develop skills and build self-esteem. They are encouraged to begin to make their own decisions and be involved in planning their activities. Guides are aged 10-14 years. The programme for the Guide age range provides fun and challenging opportunities for girls and young women. It is based on the premise that girls and young women, helped by a caring adult and given adequate resources, are capable of planning and carrying out their own activities. All registrations are now dealt with centrally so please register via one of these two methods rather than via the “contact us” page on this website. an equivalent number of younger children who were learning an instrument had nowhere to play. 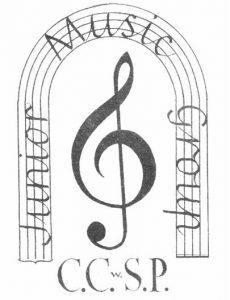 It was decided that the younger players would meet weekly on a Friday evening so that they could practise together and gradually filter into the established group. It soon became obvious that the young people were also very keen on drama so this was included on a semi regular basis. We meet in the Church on a Friday evening between 6.30 and 7.15pm in term time. Our age range is from 8 to 80 – or over – and if you can’t play an instrument you are welcome to join us as a singer, along with our slightly more mature members. Most Friday evenings will include a mix of music, both modern and traditional, and drama, though we are primarily a music group. Occasionally, we will try out a dance routine, depending on what the young people want. Although we are not ‘uniformed’; we do have a T-shirt with logo, designed for us by a church member. As well as playing at the monthly Family / Parade Service and on the 3rd Sunday at the evening service we also give (usually) three concerts a year, roughly speaking at the end of each school term. These include a fairly traditional Christmas concert using ‘different’ carols, Christian pantomime and ‘themed’ musicals – for instance based around creation and conservation or telling the story of particular Bible characters such as Thomas, or Stephen, Paul & Barnabas. We end the summer with a barbecue, and we often start the new session with a ramble and picnic. Whenever possible or appropriate, our young musicians are involved with the wider activities of the church and have recently contributed a display to the Harvest Festival weekend. From Harvest to Christmas members collect small change for Breadline Africa. We asked the group what they would like to include on this website. 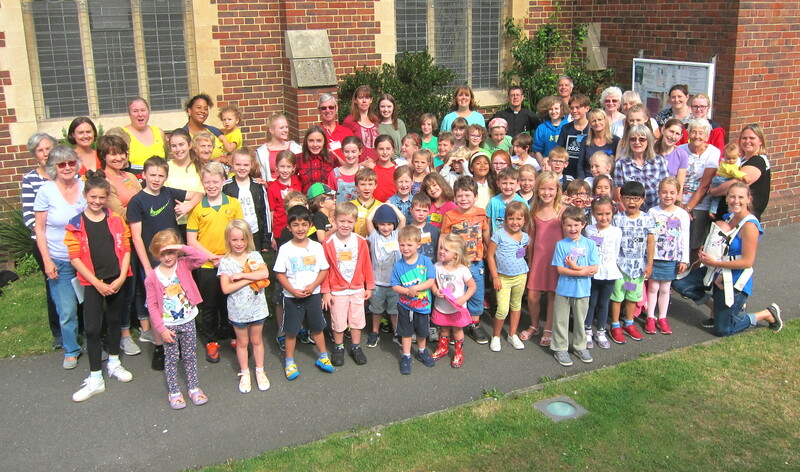 Our ever-popular Summer Holiday Club for children aged 5-11 takes place in our church and halls, usually during the last week of the school summer holidays. Each Holiday Club has a different theme for the week – taken from the Scripture Union Holiday Club – but all include a mix of songs, prayers, games, bible stories, activities, drama and presentations. Take a look at the information on past holiday clubs to get a better idea of what happens at Holiday Club. We can offer places to a maximum of 72 children. These are arranged into 6 groups very roughly split into 5-6 year olds, 7-8 year olds and 9-11 year olds. Due to its popularity, Holiday Club is nearly always over-subscribed so keep an eye on our church notice sheet for details about how to sign up for a place in the early summer. The success of these weeks has been largely due to the number of adult helpers who have assisted – usually 30–40 of all ages and abilities, some coming all week, others for just one day. If you are interested in helping at our next Holiday Club, please get in touch via our Contact Us page. Next year’s holiday club will take place from Tuesday 28th to Friday 31st August 2018, 9.30am-1pm. All children aged 5-11 are welcome to join us to take part in a range of activities including games, drama, songs, prayers and bible stories. More information and booking forms will be available nearer the time. Thank you to everyone who helped make Summer Holiday Club a success again this year. Our ‘Guardians of Ancora’ Holiday Club ran from Tuesday 29th August to Friday 1st September. Each day we journeyed to Ancora, the City of Hope. At the summit of the city was the Spire of Light which lit up the whole city. The stories of the Saga (the Bible) we shared each day, and the power of storytelling fueled the light of the Spire. The children had a great time discovering the treasure of these stories, singing songs, making crafts, and playing games together in Ancora’s Hall of Memory.